Thinking about moving to California? Do you have the big city of Los Angeles in mind? Before you set your mind on living in Los Angeles, make sure that you can afford to live there. Things may cost a lot more, or a lot less than where you currently live. 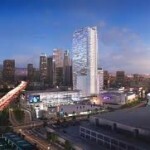 TruckRental.net has put together this helpful article on the cost of living in Los Angeles. The Los Angeles area is one of the largest areas in the United States. It boasts a population of right around 4 million people, and it is the most populated city in the state of California. It has something to offer everyone regardless of your taste of budget. Los Angeles is known as a world center for its wealth of businesses, entertainment, and international trade. There are plenty of different industries, but finding work may be difficult. If you prefer to dine out instead of eating at home, then you will want to know how much restaurants in Los Angeles will cost you. One meal at an inexpensive restaurant will run right around 12 bucks. Dinner for two at a mid-range restaurant will cost you about $50 without a tip. Beers can range anywhere from $3-$5.00 in price. No matter where you live, you are going to need some basic groceries. In Los Angeles, a loaf of bread will cost you just under $3.00. You will have to pay $2.25 for a dozen eggs, and apples will cost you almost $3.00 per pound. Oranges are less expensive because they are grown locally. You will have to pay right around $1.50 per pound for oranges. If you are living in the heart of the city, you may be able to walk to all of your destinations. Most of the people in Los Angeles do this, but if you prefer to ride public transportation then you can expect to hand over around $65.00 for a monthly pass. You can’t avoid these costs. Everyone will have to pay them. The monthly utility costs for a small apartment will run you around $150.00 per month. High speed internet will cost just over $40.00 per month. Prices on housing will vary on which part of the city you choose to live in. If you are looking for a one bedroom apartment in the center of the city expect to hand over $1300.00 every month. The same apartment outside of the city will cost you $1100.00 per month. If you need a larger space, a three bedroom apartment in the center of the city will cost you right around $2800.00. If you get the same apartment outside of the city, you can expect to pay right around $2100.00. Now that you know more about the cost of living in Los Angeles, you should have a better idea of whether or not you can afford to live in this huge city. Just make sure that you make the most out of your move, and that you enjoy your new life in Los Angeles.